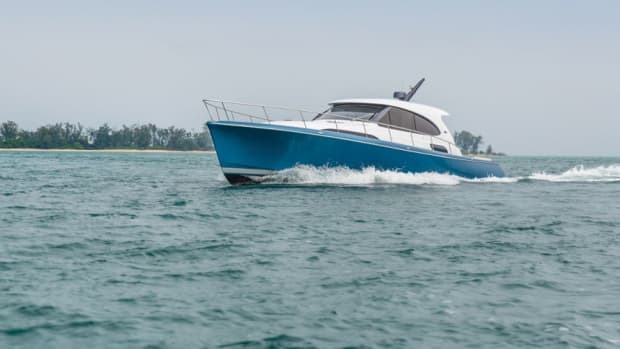 Constructed of aluminum that is 85 percent from recycled sources and 100 percent recyclable at the end of the boat’s life, the Rambler 38 has a 21-degree deadrise for cutting through the choppy stuff and a 2-foot, 1-inch draft for sneaking into skinny water. 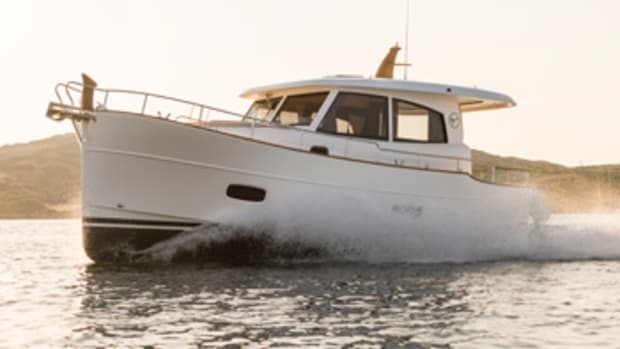 Inside the gunwales, the Rambler 38 can be customized with various deck layouts. 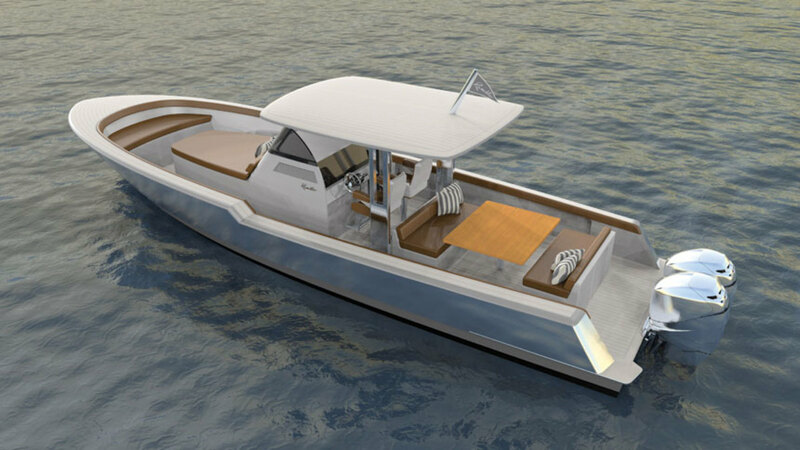 Folks who want to entertain aboard may want the cockpit dinette with two benches and a teak table. A cockpit galley/dinette version also is available. 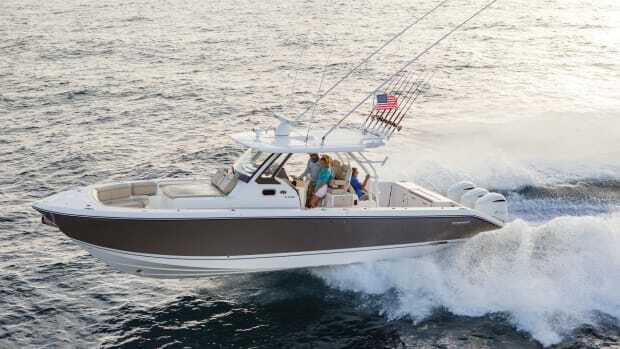 Owners with angling on the agenda can opt for a live well and rigging station. A sunpad is forward of the console, with a bench seat forward of the sunpad. 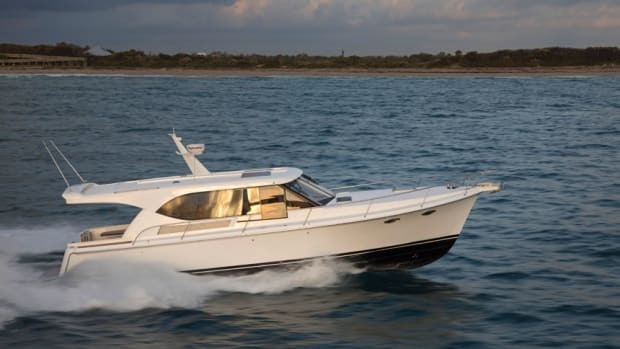 Beneath the console is a cabin with a two-person berth, a galley and an enclosed head. 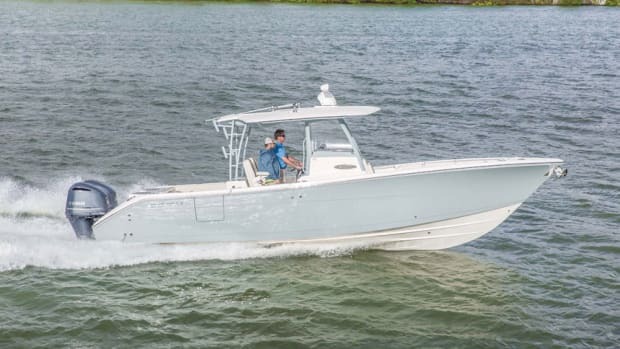 A hardtop protects the helm, which has a pair of captain’s seats at a dash with two multifunction displays and easy-to-reach switches. 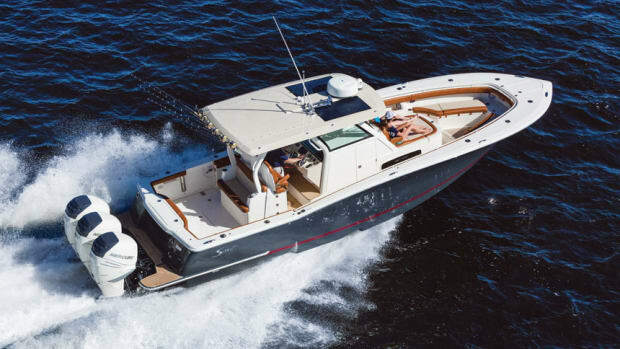 Standard power for the Rambler 38 is a pair of 350-hp Mercury Verado 4-strokes, for a top end of 39 knots. 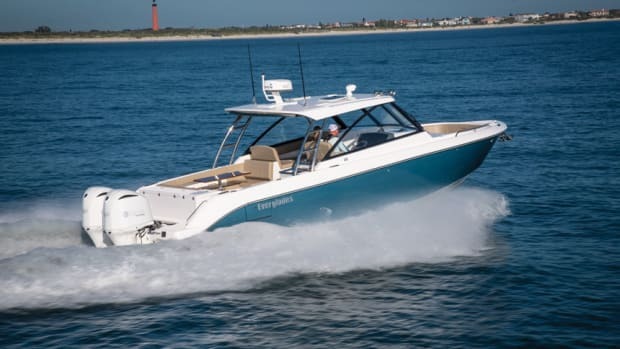 Optional are quad 350-hp Verados, which up the top speed to 60-plus knots. 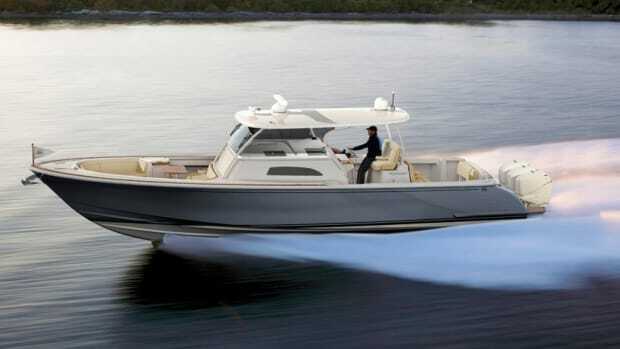 Everglades is back in the dual console game with the recent launch of its 340DC.